It is becoming increasingly challenging to help homeless families at Christmas as they are moved daily from one hotel to another. In 2011 there were just under 4,000 people reported as homeless - less than half of the almost 10,000 people now living in emergency accommodation, according to the latest figures from the Department of Housing. But while calls from families living in homeless accommodation flood into St Vincent de Paul seeking support, the ability to help them has been hampered by the constant movement of families from one hotel to another. 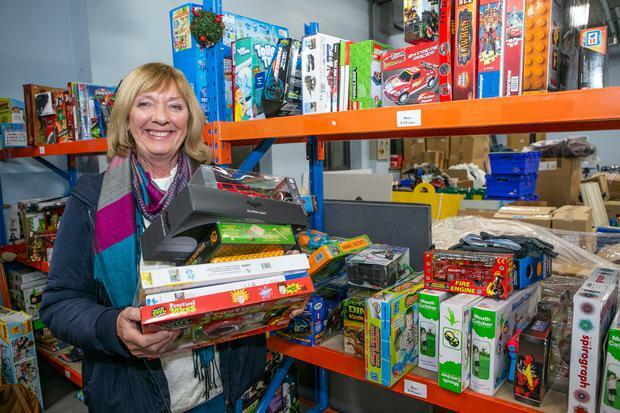 Mary Memery, a volunteer with St Vincent de Paul (SVP) in Dublin for 15 years, said families often rang in tears but when volunteers followed up, they find they had been moved to another location. "Homeless people are really finding it difficult because we don't know where they're going to be from one day to the next," she said. "We could call out and they'd be gone to another area so what we are asking them to do is to ring us when they move on to another place and we try and pinpoint them there. "Ten years ago, there were only a couple of hundred homeless people and we kind of had them in a box and put labels on homeless people. "That [number] has increased but so have families. We never saw that before and that is a whole new phenomenon," she added. Many hotels and B&Bs where homeless families are staying have nowhere for them to cook dinner - making it difficult to create a festive feel for parents and children alike. "They really hope they won't be in the same position next year so we try to cheer them up and give them whatever we can," said Ms Memery. "A lot of them have no facilities to cook so they are spending a lot of money on takeaways and fast food. "We try to steer them towards a few different places dotted around Dublin for Christmas dinner." SVP has also noticed a lot of calls in recent weeks from parents who are in employment but who still need help. "Just because people are working and earning a living doesn't mean they have spare money at the end of the week," said Ms Memery. "And Christmas can be really stressful because their own children can't maybe understand what's going on. "So what is very important for us as volunteers when we go into someone's home [is] not to look at what they have. "Just because someone has a big television doesn't mean they have money, they could be paying for that television for the next three or four years," she said. "People don't ring SVP just to top up their Christmas money. Most people that ring SVP are really desperate."